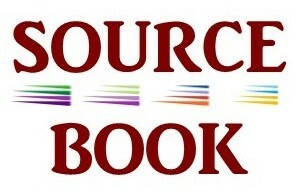 Our Source Book experts welcome opportunities to be interviewed and serve as sources for news stories. Here, you will find established professionals who are the among the best in their fields and committed to providing accurate, relevant information to ensure the public conversation maintains the highest of standards. Please contact sources directly. Sources are continuously added. Check back often. Want to search by category of expertise? Click here. Click on photo to reveal more information. Executive Director Child Care Council of Nassau, Inc.
Vice President of Marketing & Communications Long Island Board of Realtors, Inc.
Work Searchen Networks Inc. 617 West Montauk Highway, #5005 West Babylon New York 11704 United Stateswork Work Phone: 631-983-2201work Work Phone: 631-587-7050work Work Email: johnc@searchen.comINTERNET Website: Searchen Networks Inc.
CEO & President Strategic Planning Systems, Inc.
Work Strategic Planning Systems, Inc. 23 Candee Avenue, Suite E Sayville New York 11782 United Stateswork Work Phone: 631-567-7771work Cell Phone: 631-678-6343cell Work Email: miked@strategic-planning.comINTERNET Website: Strategic Planning Systems, Inc. Founder & President Council for Unity Inc. Categories: Fashionista, Politics: Long Island, Politics: New York City, Politics: New York State, Politics: Washington, D.C. Manager, Corporate Social Responsibility The Nature’s Bounty Co.
Executive Director Canstruction Long Island, Inc.
President Hillary Needle Events, Inc. I, (insert name), do solemnly swear to apply my full potential while serving as a student journalist at (insert school name). I pledge to use all my knowledge in my assignments and to actively seek advice and insight from my teachers, for they have the expertise and the experience I need to ensure my success. I understand the freedoms of speech and of the press I enjoy are a great privilege, and with such privilege comes great responsibility. I must be accurate and fair in my reporting. I must choose my words carefully because words have the power to hurt and to heal. I promise to seek truth in my reporting and to verify my facts. I am not here to judge, but to tell other peoples’ stories to the best of my ability. By taking this oath, I promise to uphold the highest standards of journalism, so that those who come after me may enjoy these same freedoms. I look forward to seeing my name as a byline, which announces my work to the world and lets readers know I stand by my stories as true, just and worthy of their time. 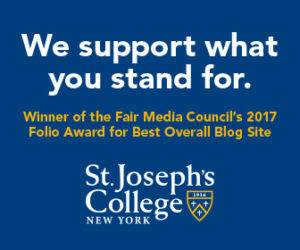 I take this oath willingly because I am proud to be a student journalist at (insert school name).